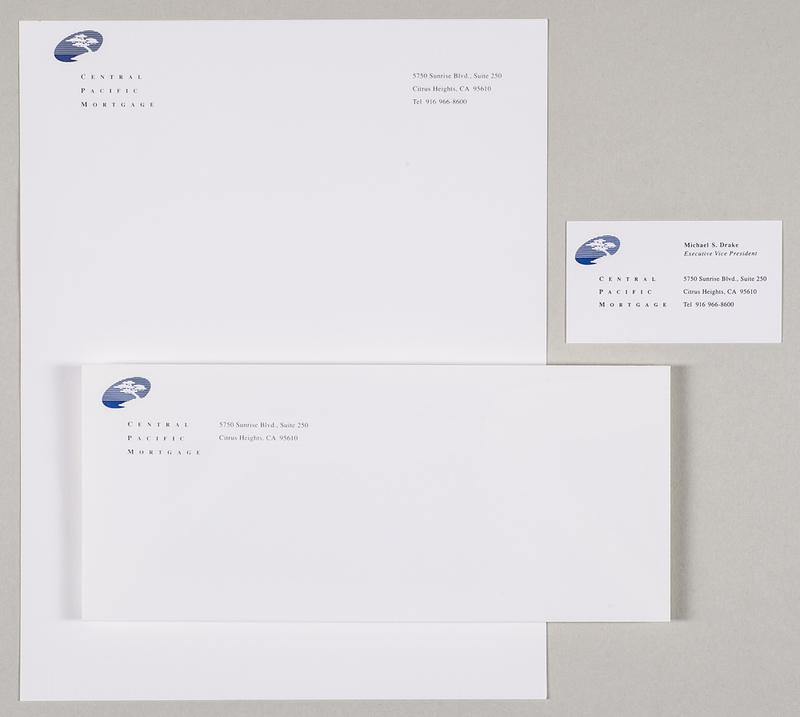 Stationery set includes 2 sizes letterhead, 2 sizes envelope, and business card. Techniques 2 spot colors. Engraving, Embossing.